Traver Kauffman is the proprietor of the blog Black Garterbelt. Oh the Things You Can Think, Dr. Seuss: Many of my reading choices are dictated to me by a extremely repetition-tolerant two year old, and I’m bloody well sick of most of her library. Try as I might, however, I never tire of this one, a book that exists for no reason other than a delight in invention and wordplay. Everyday Drinking, Kingsley Amis: Kingsley Amis is the Virgil of boozing. Of course, given Amis’s long, alcohol-related decline, the whole charming bon vivant routine here comes with the queasy sepulchral undertone that you’re burdened with when you have lived beyond the sad ending of someone else’s story. Christopher Hitchens’s Introduction gives this a nod, acknowledging that “the booze got to [Amis] in the end, and robbed him of his wit and charm as well as of his health.” But so it goes, shrugs Hitchens, who ends by quoting Churchill on the benefits of drinking. In some circles, this is known as the Gentleman’s Godwin. Deciderization 2007 – a Special Report (David Foster Wallace’s introduction to The Best American Essays 2007): Here again, I suffer a twinge of sadness as I read along, even if it’s better to try and forget and simply enjoy DFW at his open-hearted best. On the other hand, with DFW so carefully dissecting what it’s like to try to think and live in the face of Total Noise – his coinage describing “the sound of our U.S. culture right now, a culture and volume of info and spin and rhetoric and context” that’s too much for a person to absorb and decipher in any meaningful way – how could I fail to extrapolate the author’s desperate final act from the lament expressed here, in spite of myself? 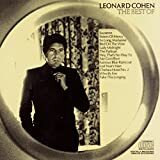 The Best of Leonard Cohen (Liner notes): I paged through the booklet to this CD this summer while at my horrific, short-lived corporate job, looking for any kind of relief. I was supposed to be working. Other than lyrics and song rights, you get notes penned by Cohen for each song, which typically amounts to a few sentences. Some of these are straightforward and utilitarian, some lyrical, and all of them are pretentious in one way or another. I guess I’m trying to say that Cohen’s project here is demystification and the re-mystification at the same time. Several of the blurbs work as exquisite short fiction. My favorite is the entry for “Hey, That’s No Way To Say Goodbye”: This song arises from an over-used bed in the Penn Terminal Hotel in 1966. The room is too hot. I am in the midst of a bitter quarrel with a blonde woman. The song is half-written in pencil but it protects us as we manoeuvre, each of us, for unconditional victory. I am in the wrong room. I am with the wrong woman. Philip Larkin, Collected Poems: Usually alone at night. Always for comfort. 2666 (The first 250 pages), Roberto Bolaño: “She had a hoarse, nasal voice and she didn’t talk like a New York secretary but like a country person who has just come from the cemetery. This woman has firsthand knowledge of the planet of the dead, thought Fate, and she doesn’t know what she’s saying anymore.” Yep. Traver Kauffman is the proprietor of the blog Rake's Progress. This year a group of friends and I started a book club because we wanted to talk about Elena Ferrante’s Neapolitan Quartet. It so happened that we also love karaoke, so we became a karaoke book club: we talk about writing and desire and friendship and then we go and sing our hearts out. This pairing works beautifully and maybe it’s because we want to be in a moment, like Ferrante Fever. I’ve been thinking about how much immersion matters, how I’m reading for what books can make me feel, especially a particular collusion of sadness and rage, sparked by longing. This takes many forms: rawness, interiority, yelling, even silence. It has to do with characters working against histories and structures that often seem impossible to break. Elena Ferrante’s Elena and Lila are trying to figure out their own selves, at times creative and wild, within harsh patriarchal and provincial structures. Peter Ho Davies’s The Fortunes gives us a part of American history that’s often overlooked: the Asian-American experience through the building of the transcontinental railroad, early Hollywood, and more. The rage here, like the prose, is transcendent. Rabih Alameddine’s The Angel of History pushes against the tide of forgetting, against the smoothing over of the past, against moving on. Death and Satan argue over a man’s soul and every page is a reckoning. Brit Bennett’s The Mothers is gorgeous, suffused with sorrow and the weight of obligation and time, as it considers what might and will happen to a young ambitious woman. And with all of this rage and sorrow and longing, there is laughter in these books. Maybe it’s what we need to do right now as part of taking care of ourselves: we listen, learn, rave, and cry, and then we laugh (which is to sing) because we have to, somehow, get through what we’re going through. Trying to make sense of the books I loved in the last year and why is a bit like trying to divine the logic that guided me into past relationships. The books -- each a kind of lover -- all just…made sense at the time.